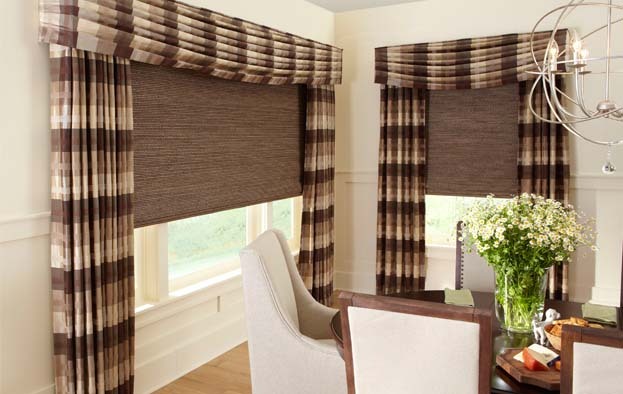 Chocolate Roller Shades - by Exciting Windows! These window treatments are all about modern luxury. With rich fabrics and textures, these beautiful shades maximize your window?s view while treating each window separately. Plus, the scale of the room remains aligned despite differing window sizes. No matter your window configuration, we can help you personalize your home today!